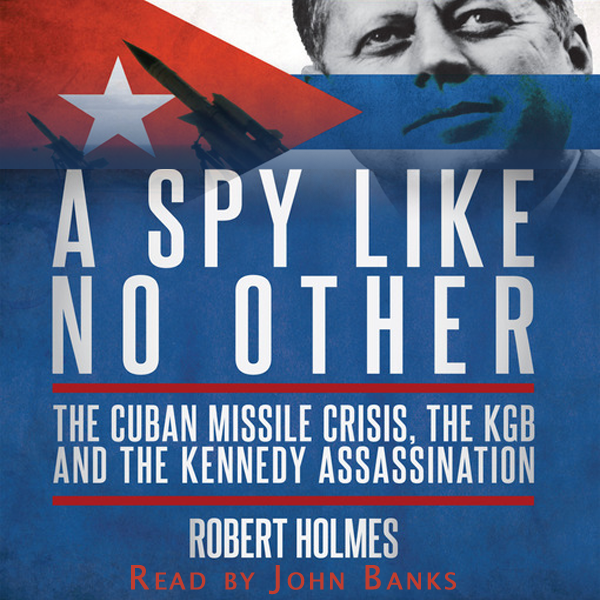 Back in early August, I was asked by the fabulous Neil Gardner at Spokenworld Audio if I'd be interested in recording an audio version of Robert Holmes' fascinating book A Spy Like No Other. After a few seconds careful consideration, I leapt at the opportunity and after a very interesting couple of days in the studio, recording was complete. The arms race between the Soviet Union and the USA was the most dangerous confrontation in the history of the world. 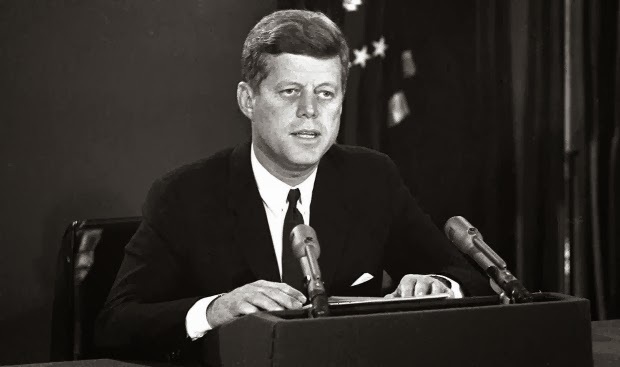 Soviet leader Nikita Khrushchev’s decision to place nuclear missiles in Cuba, and US President John F. Kennedy’s willingness to call his bluff, brought the Soviet Union and the West to the edge of a cataclysmic nuclear war. 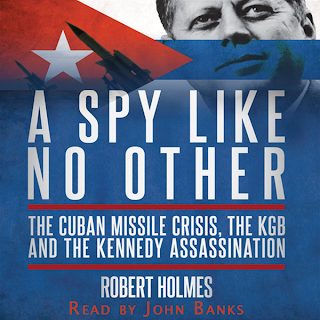 Now, on the fiftieth anniversary of the Cuban Missile Crisis, Robert Holmes, a British diplomat in Moscow during the early 1960s, provides an answer to one of the greatest mysteries of the Cold War. Kennedy’s confidence in his brinkmanship hung on the evidence provided by Oleg Penkovsky, the MI6/CIA agent inside Soviet military intelligence. While working on A Spy Like No Other, Holmes set out to tell Penkovsky’s story. But, in doing so, he stumbled upon an astonishing chain of intrigue, betrayal and revenge that suggested a group of maverick Soviet intelligence officers had plotted the crime of the century. When Penkovsky’s treachery was discovered, in the middle of the Missile Crisis, he was executed and his boss, General Ivan Serov (the head of Soviet military intelligence and a former head of the KGB), was subsequently dismissed. The Soviet propaganda machine then thoroughly discredited Serov and consigned him to obscurity. In this extraordinary new study, Holmes suggests Serov’s anger at the West’s ‘victory’ in Cuba and his resentment at the treachery of his protégé and his own downfall turned into an obsessive determination to gain revenge – and reveals the opportunity he had to do so by working with KGB rogue officers to enlist a young American loner, Lee Harvey Oswald, to assassinate the President. We had some interesting and occasionally challenging decisions to make about how to present the book in audio form. The text hadn't been adapted in any way and the difference between reading silently to oneself and reading out loud as a 'performance' can sometimes present quite a challenge. The natural abbreviations one instinctively makes as a reader have to be overcome and yet the text still has to sound smoothly conversational, rather than stilted and expressed simply for the purpose of conveying information. We also did a bit of head scratching about the pronunciation of some Russian names; for example, even a simple name like 'Ivan Serov' requires a decision about where to put the stress - Ivan or Ivan ?, Serov or Serov ? Some of the various Soviet acronyms were also a bit tongue twisty in the context of the narrative flow and as for the Polish Secret Police - try casually throwing 'Ministerstwo Bezpieczeństwa Publicznego' into a sentence! A Spy Like No Other was my first experience of recording a non-fiction book and the performance of it presented quite a steep learning curve. However, with the expert guidance and fulsome support of Neil Gardner, the work was never less than great fun. I must sincerely thank Neil for giving me such an opportunity and for being such a fantastic creative collaborator - thanks Neil! As a very brief coda to this posting, my excitement is such that I must also say what a truly thrilling time I'm currently having in the studio with some amazing and legendary Dr Who alumni - more of which anon.